Nautica is inspired by the colors, textures and heritage of our American coastlines. Luxurious cottons and textiles are drawn from the stripes and patterns of our iconic sportswear apparel. 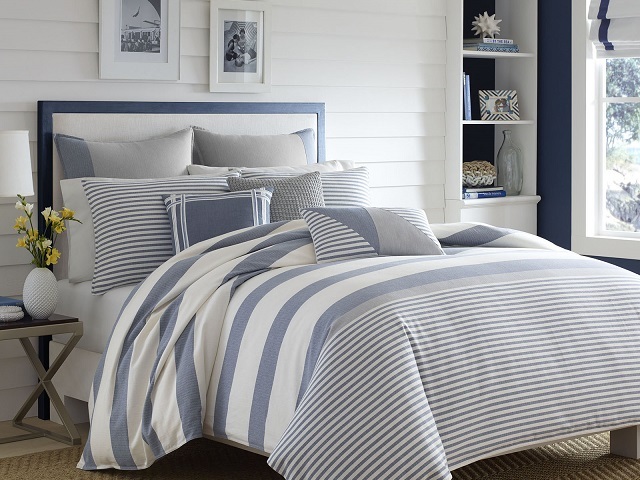 Fine trim, saturated colors and authentic nautical details on their comforters and duvet covers give any room a seaside look and feel.